Ten miniature fish bowls on a stand. 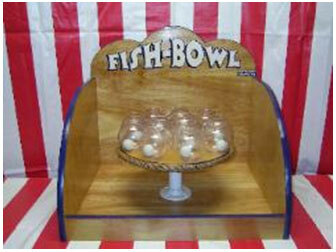 Can you toss the ping pong balls into the fish bowls? Great game for all ages.